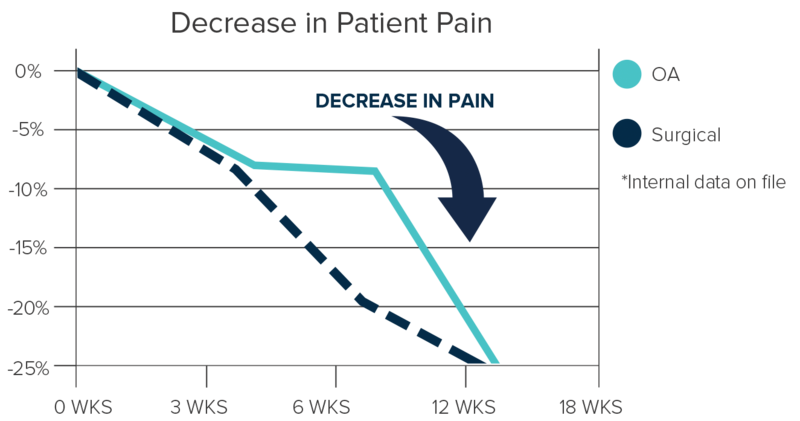 Imagine your life with less arthritis pain. 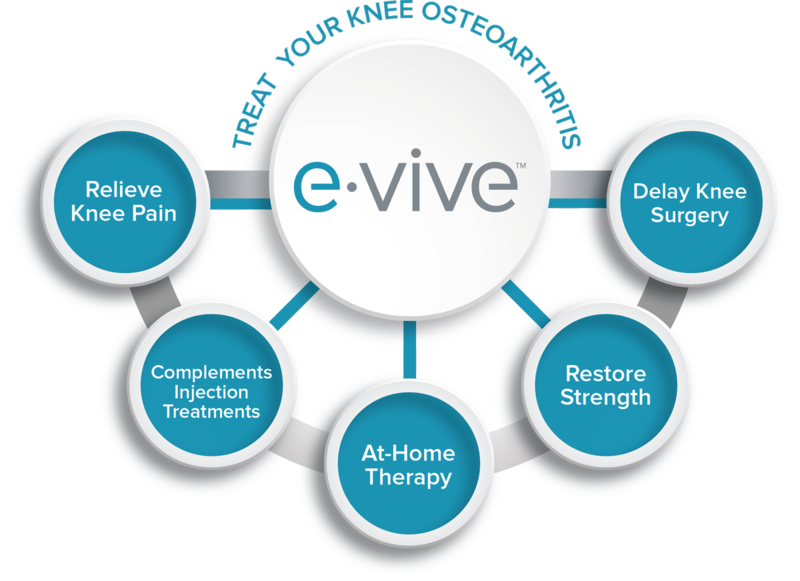 e-vive™ is an app-based muscle strengthening solution designed to help you be proactive with your OA conveniently at home. It uses advanced Neuromuscular Electrical Stimulation (NMES) therapy to activate and strengthen your thigh muscles, potentially reversing muscle weakness from OA. As your muscle strength improves, so will your thigh muscles’ ability to reduce the stress on your knee joint, decreasing your pain and improving mobility. The e-vive™ App can be downloaded onto virtually any smart device. 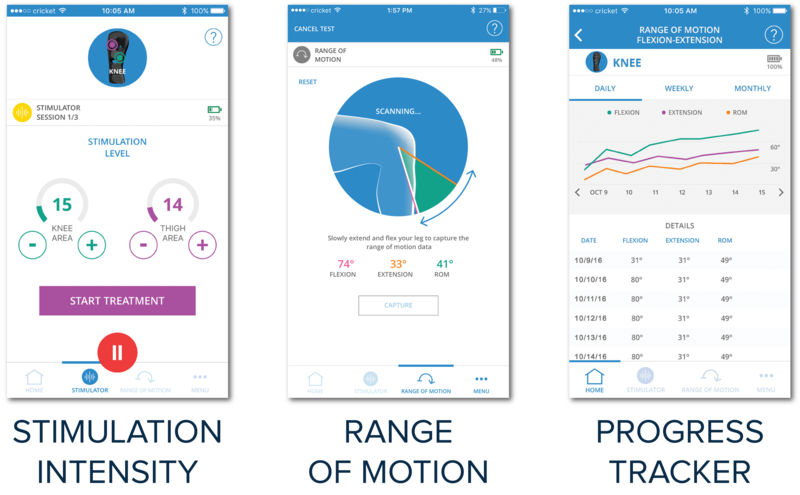 The intuitive app gives you complete control of your stimulation therapy and allows your healthcare provider to easily monitor your progress remotely. The ONLY muscle activation therapy and patient engagement solution. 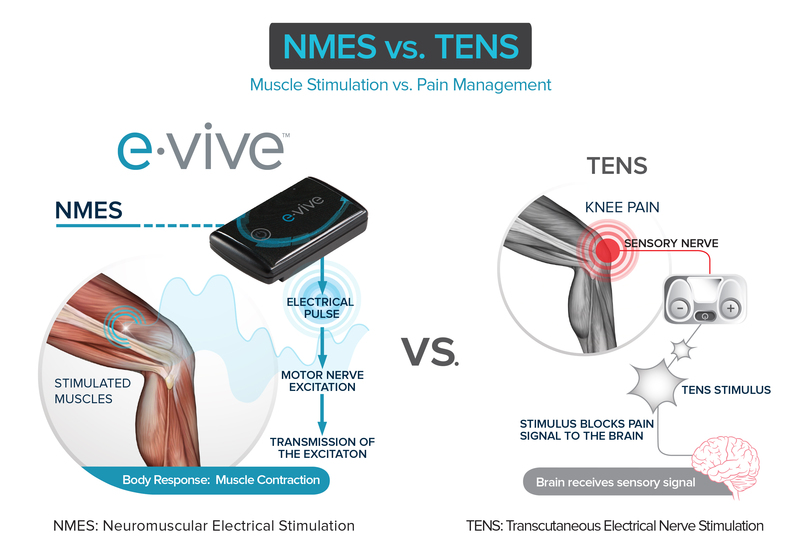 How is NMES different from a TENS device? NMES and TENS therapies target different nerve groups of the body. TENS (Transcutaneous Electrical Nerve Stimulation) targets the sensory nerves, which are responsible for sending pain signals to the brain. NMES (Neuromuscular Electrical Stimulation) targets the muscle itself, specifically through the motor nerves. The stimulation of motor nerves causes the thigh muscle to contract, similar to what you would experience by doing squats at the gym. Daily muscle contractions can increase the strength of your thigh, and overall stability of the joint. 1. Vaz, et. Al. (2013), Neuromuscular electrical stimulation (NMES) reduces structural and functional losses of quadriceps muscle and improves health status in patients with knee osteoarthritis. J. Orthop. Res., 31: 511-516. Learn more about CyMedica, our advanced muscle stimulation products, and our commitment to quality care. A CyMedica representative will contact you as soon as possible.